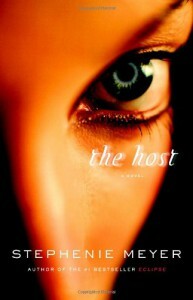 The Host: A Novel - Lis Les Livres- Read Books! 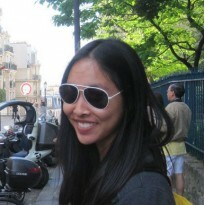 http://www.blogger.com/blogger.g?blogID=3408527990356814051#editor/target=post;postID=5341950360298831518;onPublishedMenu=allposts;onClosedMenu=allposts;postNum=6;src=postnameCharacters: There were so many characters that I liked. We can make this like Twilight and say Team Jared or Team Ian, but these characters were not like the broody male creatures of Twilight. Nor we're the girls. The girls could kick some tail in this one!Wanda: I think Wanda is one of the few characters I can remember really relating to despite the fact that she's an alien. But that's really the whole point. What does it mean to be human? Wanda is selfless and caring, but she can be weak, especially in the beginning since Souls always try to do the moral thing. She's a great addition to the cave community because she reminds these humans who have focused so much on taking care of themselves that others are important too.Melanie: Melanie's a fighter, but more often than not, I found her too selfish. She only cared about Jared and Jamie. While caring for family is good, when you're stuck with a small community of survivors, you've got to work together. And really, her sass was just a bit too overdone.Jared: Everybody hates Jared, but is anyone thinking about the fact that he lost the girl he loves but has to see her physical body, the same face he used to love, but it's not the same person? Everyday, he was reminded of Melanie, but he couldn't ever talk with her. That would be rough. And he does get nicer towards the end, even kinda becoming friends with Wanda and respecting Ian.Ian: And then there's everybody going crazy for Ian. I loved that he was brave enough to let Wanda feel welcome early on. He has a strong moral compass. Maybe it was that but I always felt that Ian was made too soft. I think that was an error on Stephenie Meyer's part, but all the girls seem to love him.Jamie: I love this little boy, though he's really not that young. Yet, he still represents innocence and accepts Wanda quickly. He shows the importance of not being cynical as well as being caring. Jamie is hope for the future, and I would love to see him in the sequel.Plot: I have to warn you, this book is as thick as the bible. It took me easily over 2 months to finish it because it was so slow in the first half. I started it in early February, hoping to finish it by the signing/ movie tour, but I ended up finishing it in late April. The first few chapters are very confusing, trying to figure out who is narrating and what is going on. I was reading it in ebook form but all of the dialogue was in the same text, unlike the print book and other ebook formats, so it was very difficult to decipher when either Melanie or Wanda was thinking. Apparently, I just had the weirdest version ever! Regardless, the book does get better!For all of you Twihards that like Twilight for its easy and light reading, I still think you might like this. It is a bit more thought provoking just because it brings morals and ethics into the story. While young adults can definitely read it, this is an adult book that requires more philosophical thinking. I'm glad I read it now that I'm a little older than when it came out. I have to hand it to Mrs. Meyer, I really enjoyed this book even though I certainly felt like the middle was dragging on.Misc. Ok, what was Stephenie Meyer on when she came up with the names of he other planets? See Weed? Yeah, I think she was seeing some weed if you know what I mean. Frankly, the silliness of it took away from the book for me. I know, I know,it's sci-fi so it should be odd, but you obviously haven't read it if you don't agree!Movie: A lot of people were predicting that this was going to be the next Twilight, being penned by the same author. Well, it was an epic fail! The last time I checked, it received a 9% on Rotten Tomatoes, and was the 9th highest box office opening weekend. While I don't think that the movie deserved a 9%, the book was a thousand times better. I'm a little surprised it turned out so poorly. The author produced it,Andrew Nicool directed, and the cast was pretty good. Maybe I'm a little biased because I love the cast, kinda feeling a little connected to them having seen them on tour. You can't deny that Saorise Ronan is a Oscar nominated actress though!So,overall there was no character development. It was like Ian just smiled at Wanda and then they were in love. So the kissing scenes just got a little ridiculous and rushed. Even though I complained about the book being so long, the good thing about long books is that the characters get the chance to get to know each other and develop themselves. No such luck in the movie. But the cinematography was amazing!!! Such a beautiful set!Sequel: I don't really want a sequel. I am satisfied with the ending. It was written as a standalone, and it just seems to me that Stephenie Meyer wants to make more money.Would I recommend this to a friend? Yes, if you can withstand long books it is very good, something hat you can think about even after you finish it. Stephenie Meyer called it sci-fi for people who don't like sci-fi and I would concur.